Is consolidation the way forward for the chemical industry? The last three years represent the most prolific phase globally in the chemicals mergers and acquisitions space. 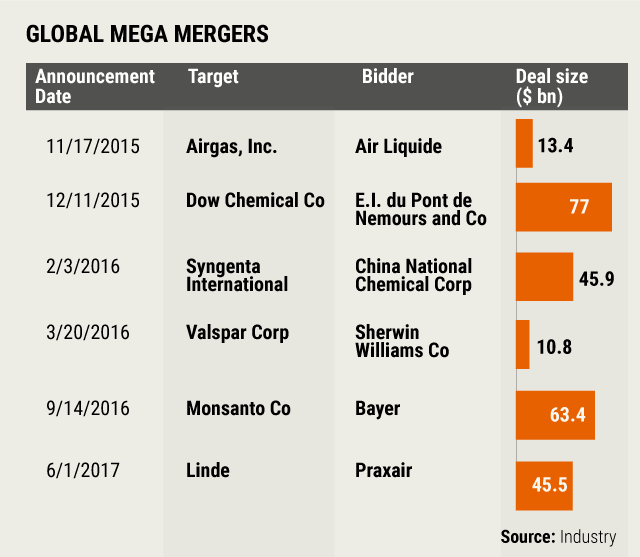 Four mega deals worth over $230 billion have reshaped the contours of multiple segments within the chemicals industry. Such phases of high inorganic activity are typical in every industry. In the case of chemicals, the consolidation is led by a general slowdown in demand posing challenges for most large chemical companies in growing beyond 2-3% organically. As a result, these companies are using excess cash (which was earlier reserved for organic growth) to support M&A-led expansion. Several global players have increased their focus on mergers and acquisitions to buy growth, realise cost and revenue synergies, and enhance their product basket and their value proposition to the customer. 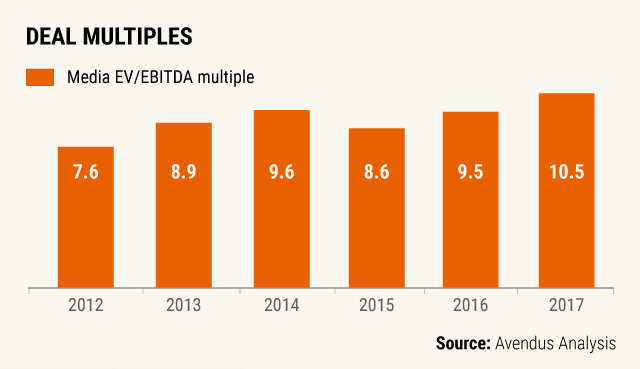 In the past few years, there has been a near-secular increase in the number and value of M&As in the chemicals sector. The number of deals has grown by about 20% between 2013 and 2016, and the total deal value was over $230 billion in 2016 vis-à-vis under $50 billion in 2013. Many large companies have successfully leveraged their M&A strategy to outgrow their peers that have chosen to grow organically. Such companies with more experience in M&A have a better understanding of the potential synergies and post-M&A integration. Attractive assets find interest among such buyers and we are witnessing an expansion in the multiples at which deals in this space have happened in recent times. The specialty chemicals industry in India is thriving and India is fast becoming an important destination for most global MNCs for a multitude of reasons. First, there is strong growth in the Indian specialty chemicals space, with demand being driven by both domestic consumption and exports. At $23 billion, specialty chemicals constitute about 20% of the overall Indian chemicals industry, and is poised to grow at 11% to reach $39 billion by 2021. Second, for multiple sub-segments within specialty chemicals, India is becoming a global hub for manufacturing. A case in point is the organic pigments industry where most manufacturing is moving to Asia, and particularly to India from western countries. Similarly, in the natural flavour, fragrances and nutraceutical ingredients space, India has an inherent sourcing advantage and most global players have to rely on supplies from Indian manufacturers. Given the attractiveness of the market, many global companies are looking at growing their presence in the Indian market. Setting up or expanding through a greenfield project in India is a time-consuming process and requires permissions from several regulatory/governmental authorities. This is particularly true for chemical plants. Growing through M&A is, therefore, the preferred mode for many global companies in this space. 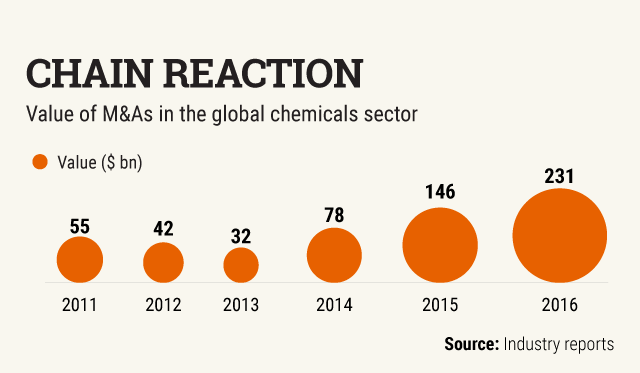 M&A activity in the specialty chemicals space in India has historically been relatively low compared to global levels. A recent boom in the Indian stock market has led to rich valuations for chemical companies, making it more challenging for strategic investors to match such valuations. 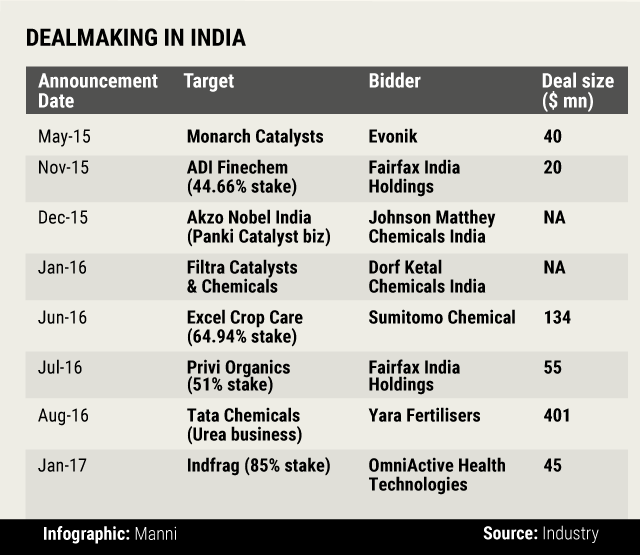 Several large specialty chemical companies in India are currently trading at more than 15x EV/EBITDA multiple. In contrast, most strategic deals, both globally and in India, have historically happened at 8x-12x EV/EBITDA. While the valuation mismatch poses a short-term challenge for M&As in India, global consolidation and the concomitant competitive pressures and increasing number of succession issues in Indian family-led businesses will drive deals in India as well. We have seen a few such deals happening in the last three years, and we expect this to rise over the next few years. Another common concept in the specialty chemicals space globally is private equity investor-led roll-up platform. We have seen several examples of PE funds buying mid-cap chemical businesses, acquiring several companies to grow, and then exiting through an IPO or a strategic deal. In India, this has not happened so far. However, over the last two years Fairfax, a Canadian PE fund, has been actively building out a specialty chemicals platform. It invested in ADI Finechem, a listed entity, and then merged another investee company Privi Organics into it. It is now planning to leverage the merged platform, Fairchem, to continue to grow in this space through acquisitions. Going forward, we expect more PE-led roll-up plays in this space. 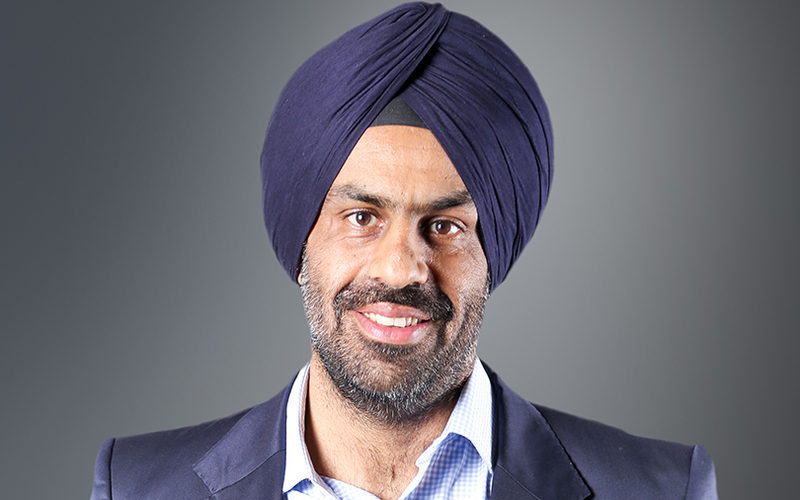 Preet Singh is executive director and head of industrials group at investment banking firm Avendus Capital.